Great Item. Great price. Very fast shipping. 5-star Ebayer. Thanks. fast shipping and great price for this item. Thank you! Perfect! Looking forward to playing with the grandkids! Thanks!! 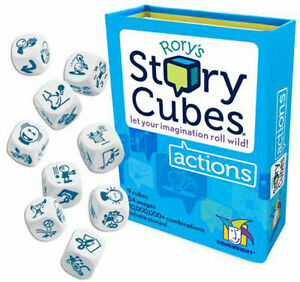 Wonderful addition to the story dice imagination game experience. For chubby puppies fan it's a must have! Hated to pay double for it but they were hard to find and he had to have it!